Separation is an often misunderstood transition between marriage and divorce. To further complicate matters, different states have different laws and rules regarding it. Technically, South Carolina doesn't recognize the concept of "legal separation," so this can have an effect on other laws relating to your estate. The state does offer an option for spouses who no longer want to live together but are not yet ready to divorce, however. You can ask the court for an order of separate maintenance and support, and this can help address your estate planning concerns. A beneficiary is anyone you name to receive property from you, typically after your death. You can name beneficiaries in your will, on life insurance policies or retirement accounts. Doing so doesn't necessarily mean that certain life events can't invalidate or change your beneficiary designations, however. Officially separating from your spouse in South Carolina can have an effect on all such designations under several circumstances. The process of seeking an order of separate maintenance in South Carolina begins with filing a complaint, just as you would file a complaint for divorce. However, it doesn't necessarily follow that you must then litigate a resolution of all your marital issues, letting a court decide them. You and your spouse can negotiate a separation agreement, draft it in written form and submit it to the court for approval. When a judge signs off on it, you're separated. This isn't the case if you and your spouse simply move into different households; the law treats you as still married for purposes of inheriting from each other. If you own assets with beneficiary designations, such as life insurance or retirement plans, these bypass the usual probate laws regarding inheritances. They never become part of your probate estate, but pass directly to their named beneficiaries. In some cases, however, federal law may become involved with these assets. You can name anyone you like as beneficiary of your IRA or insurance policy, even before you separate, but ERISA retirement plans such as pensions and 401(K)s are different. You can remove your spouse as beneficiary post-divorce, but if you neglect to do so, she will still inherit and your divorce decree can't override this federal law on its own -- even if a South Carolina divorce judgment does not award her a share. Changing the beneficiary designation on ERISA accounts typically involves submitting a qualified domestic relations order, familiarly known as a QDRO, to your plan administrator. Without a QDRO, the plan must award the benefits to your spouse beneficiary when you die. Marital separation is a gray area under federal law, so your ERISA accounts may not be safe until your divorce is actually final. 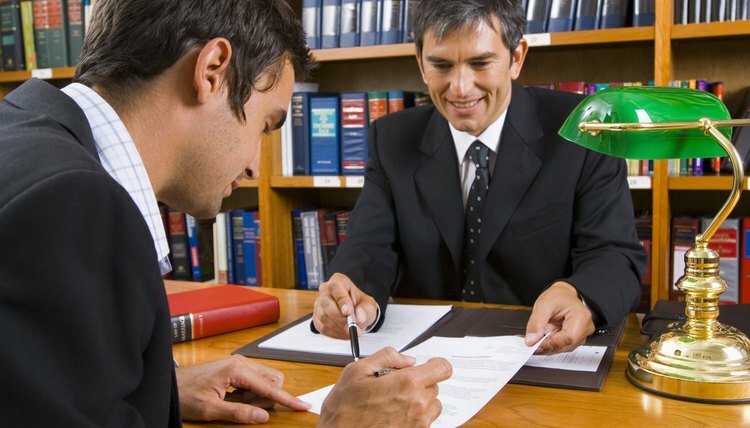 If you have concerns, speak with a local attorney. If you and your spouse only live apart without an order that memorializes the terms of your separation, she's your beneficiary if you die without a will. South Carolina's laws for intestate succession apply and your property passes to your next of kin in a statutory order of priority. Without a will, the court can't know where you want your property to go, so it must make an educated guess. South Carolina law presumes you'd want your spouse and your children to inherit from you. Your spouse might receive your entire estate if you don't have children, even if you're informally separated. She can inherit half of your estate if you do have children. If you have a court-approved separation agreement that waives these rights, however, your spouse can't inherit through intestate succession. Under South Carolina law, if you attempt to disinherit your spouse before you divorce, she can file a claim for an elective share of your estate up to eight months after your death. Absent other factors such as a separation agreement waiving this right – or a prenuptial or post-nuptial agreement that does so – she's entitled to inherit one-third of your estate. Your actual divorce automatically extinguishes this right, as well as your spouse's right to intestate succession. If you forget to change your will after you're officially divorced, your divorce invalidates any provisions made regarding her. In addition to addressing your estate planning goals in your separation agreement, you can back up this document by amending your will after you're officially separated. Under South Carolina law, you can state in your will that you intend to leave your spouse nothing if you die during your separation period but before your divorce is final. This can affect any elective share claim she might make. If you created your will while you and your spouse were still getting along, it may be time to change it. You may not want to leave your entire estate to an estranged spouse, but since marriage is a legal relationship, it affects your spouse’s legal rights to your estate. While you are still married, your spouse has a right to a share of your estate under New York law, but once you actually divorce, the rules change.